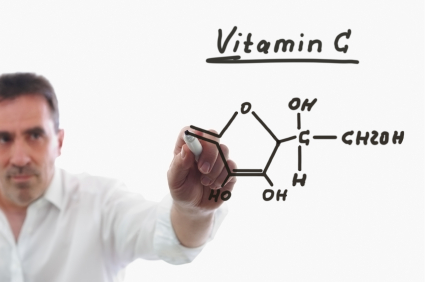 Years ago, Linus Pauling touted vitamin C for cancer. Researchers rushed to conduct studies on its effectiveness against the disease. But the studies failed. So vitamin C doesn't work for cancer, right? Wrong! The integrative docs could have told you why the studies failed. The studies used oral vitamin C, not intravenous. There is a limit to the amount of oral vitamin C you can take. Too much will cause diarrhea. However, 10,000 mg taken through IV produces blood concentrations 25 times greater than if you were to take it by mouth. Now the pundits who said vitamin C doesn't work have to eat their words, thanks to a new study. 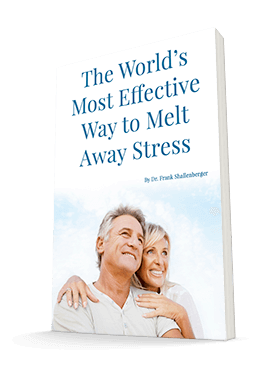 Respected members of the National Institutes of Health itself conducted this study. According to the study, which appeared in the prestigious Proceedings of the National Academy of Sciences, vitamin C led to the formation of hydrogen peroxide, a chemical that can kill cells. This suggests a potential mechanism for therapy, said lead researcher Dr. Mark Levine. I can't believe it! The NIH actually used the "hydrogen peroxide" words. Alternative doctors have used massive doses of IV-C for years to treat cancer. Dr. Hugh Riordan reported several cures of cancer. IV-C may stimulate apoptosis (programmed cell death) of cancer cells, while leaving alone normal cells, which have resistance to oxidants. While vitamin C is an antioxidant, in high doses it acts more like an oxidant. And you know my penchant for oxidation therapy. Hydrogen peroxide is a miracle cure that conventional medicine has bad mouthed for years. They've denied you access by deliberately telling you falsehoods in the interest of the drug companies. The hydrogen peroxide molecule is a chemical mediator for a variety of essential chemical reactions in all of your cells. Intravenous administration of peroxide is the least expensive way to go. But if unavailable, due to corrupt medical politics, high dose IV-C could be your best friend for infections and even cancer. Most any complementary physician can provide IV-C for you. I'm grateful for the open mindedness of these few researchers at the ivory towers. The tragedy in this story is that you can be sure that your oncologist won't try IV-C even if you are sure to die. You see, it's just not proper medicine to try to save your life with something that won't hurt you and that might theoretically help. So take this information to your integrative physician. Your life, and not medical dogma, comes first to him. Doheny, Kathleen. "High Doses of IV Vitamin C Fight Cancer," HealthDay News, Sept. 12, 2005.